How the new series is empowering young women. 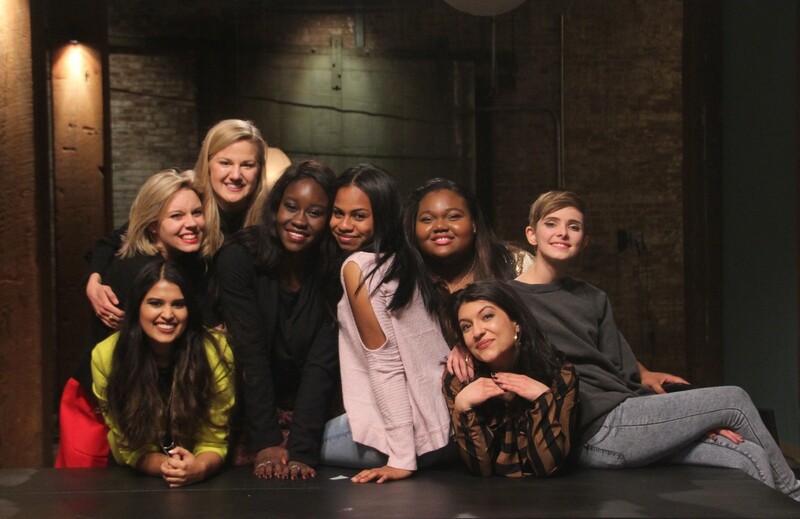 On April 28, Girl Starter, a new reality competition series aimed at empowering young female entrepreneurs will air on TLC. The founders describe the series as a mashup between “Shark Tank”, “American Idol”, “The Apprentice” and “Project Runway”. Eight contestants are paired up to develop and pitch their business ideas to entrepreneurs and business leaders in the hopes of winning seed funding and an array of services to support them in building their business. I had the pleasure of speaking with Jeannine Collins, one of the founders and she was kind enough to answer some questions (below) about the Girl Starter platform. 1 . How did the idea for Girl Starter come about? Jeannine: My daughter Julia first came up with the idea for Girl Starter in 2014 while looking at colleges. Duke was her first choice and she attended Duke’s Women Forum with my co-founder Dani who is an alum and still very involved with the Forum. Afterwards, she told Dani that she loved all of the people but felt that the conversation around women “leaning in”, needed to happen way earlier. In other words, start with girls in college. After many conversations with my husband and Dani (both co-founders), we worked up a treatment for a show which we felt would serve as a hub for the Girl Starter platform. 2 . Did you decide early on that the best format and core focus would be a TV series? Jeannine: Considering that entertainment is the number one influencer of youth, a TV show seemed the best approach to anchor the platform and drive awareness. The series is actually just one branch of a multi-platform company aimed at providing resources for young women in the early stages of building a business. The goal is to provide enough information to help young entrepreneurs get from the idea stage to a place where they’re ready to pitch to an investor. Starting with “how to get an idea out of your head”, the curriculum structure is “Start it. Plan it. Prove it. Build it. Brand it. Fund it.” and these are the steps you will see in the series. In the future, our goal is to have service providers residing within each of these steps so we can democratize access and give young women everywhere the same opportunities. 3. How did you find the Season 1 contestants and what characteristics were you looking for? Jeannine: Our first casting call was with a casting director who circulated flyers to 300 organizations and within 10 days we had over 400 applicants. The characteristics we looked for in the contestants were girls who embodied the “Starter Spirit” — those with a fire in their belly. We weren’t looking for girls who were already working on a business, but rather those willing to start with a fresh idea from scratch so that we could demonstrate the “ideation to conception” stages of building a business. Girls of this generation don’t necessarily want to follow in our footsteps and climb the corporate ladder. They want to create their own thing or at least be able to call the shots on what their career looks like. 4. After the winner of the series is announced, how will Girl Starter support them going forward? Jeannine: The winner will get a $100k package consisting of seed funding and services to support them going forward. The girls will also come back to NY to give updates on their businesses and Girl Starter will be a significant resource for them, especially in the first year. We will also keep up with them in the future so we can bring them back to share their stories. 5. What has been the most challenging and rewarding experience during the process of creating the series? Jeannine: The Girl Starter platform is a new business. So when you think of all the challenges that startups face, like fundraising, creating a product from scratch etc., we have faced these as well. The most rewarding has definitely been watching the girls support each other and lift each other up. I’m also impressed by the types of businesses they have chosen to work on. Almost all of them are community driven and structured to make a positive impact in the world. 6. What advice would you offer to a girl who is planning to audition for the show? Jeannine: Personality is a big part of it. We’re looking for girls with a spark or a “Starter Spirit” who have a tremendous amount of enthusiasm and passion. When the girls all met each other for the first time, it was like they were meeting their sisters. Even though these girls were in a competition, they were unbelievably supportive of each other. This generation of girls doesn’t have the baggage that older women carry where they feel the need to compete with each other in order to be successful. In preparation for Season 2, Girl Starter will conduct a ten-city tour along the east coast in May and June of 2017 and provide the opportunity to audition in person for the next season. Jeanne Lewis: Personally, I think the timing is perfect for a series like this and I’m grateful to Jeannine Collins, Chris Collins, Dani Davis, and Julia Collins for bringing it to life. So, mark your calendars and don’t forget to tune in for the premiere on Discovery Networks’ TLC on Friday, April 28 at 7 p.m. EDT.